View More In Flow Sensors. 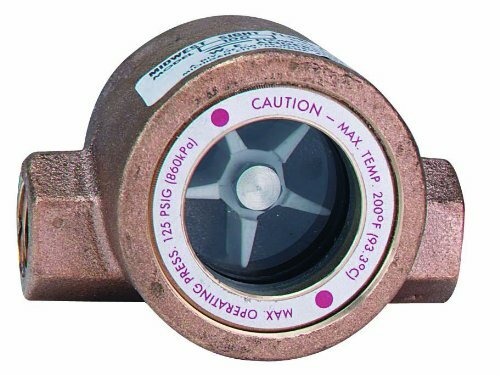 Series 100 and 300 Sight Flow Indicators are manufactured of quality materials and safety tested to assure long, dependable service at economical prices. The 100 and 300 Series offer threaded process connections, viewing windows, and bodies of brass or 316 SS. The 100 type has a single window with a rotating impeller, the 300 type has a double window with a rotating impeller, the 350 type has a double window with no moving indicator, and the 360 type has a double window with a flapper. All the types feature a removable window for easy service and replacement of wearing parts. If you have any questions about this product by Dwyer, contact us by completing and submitting the form below. If you are looking for a specif part number, please include it with your message.